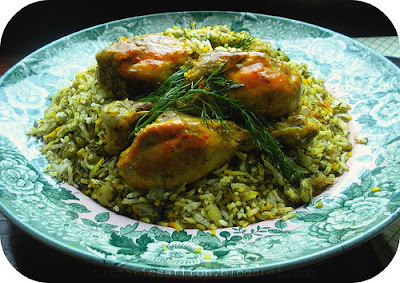 This is a well-blended, aromatic saffron rice with flavorful fresh dill, soft and nutty lima beans and tangy saffron chicken. 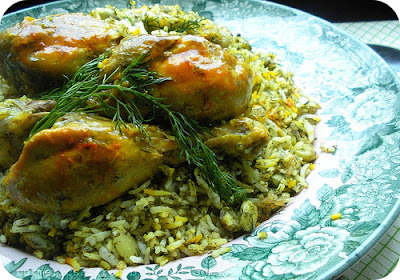 شوید باقالی پلوبا مرغ Shevid Baghali Polow Ba Morgh (dill lima beans rice with chicken) or lamb shanks is a nice colorful dish to prepare for yourself, serve your guests or take on outdoor picnics. 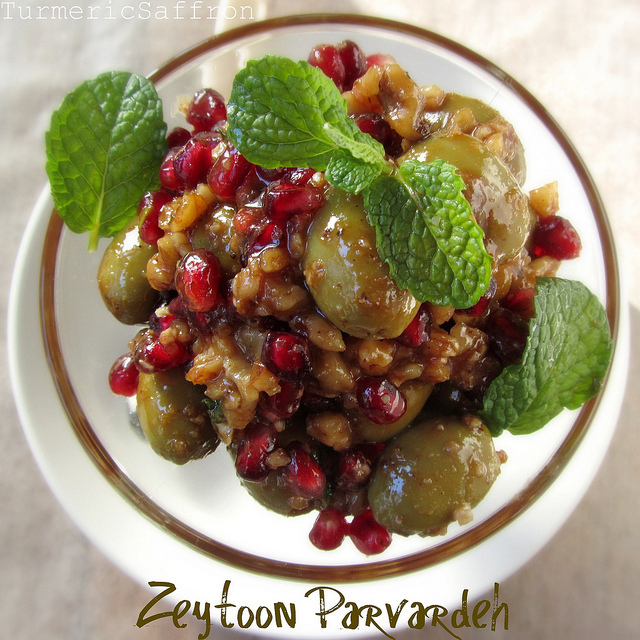 It's also one of the dishes we make for Sizdah Bedar (getting rid of thirteen), which marks the last day of the Nowruz celebration. On this day, Iranians celebrate the 13th day of Nowruz by preparing delicious meals and heading out to parks and open fields to play games and listen to music, alongside friends and family. 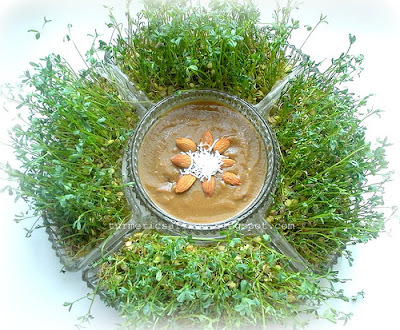 This is the day that we get rid of our Sabzeh (wheat sprouts) by throwing it in a river, which symbolizes getting rid of any misfortune, sickness and troubles. Since there is no nearby river where I live and I don't want to pollute the pond in my neighborhood and the Atlantic ocean, I leave it out in the garden to dry out and become one with nature. Growing up in different towns in Khuzestan (south of Iran), we had to drive far to find a green patch with trees for sizdah bedar and we would share it with other families, which was always fun to find more kids to play with. For those of us who were born, raised or have experienced the Nowruz in Khuzestan, we all know that there's nothing like it and I always cherish the memories of sizdah bedar picnics with my family. 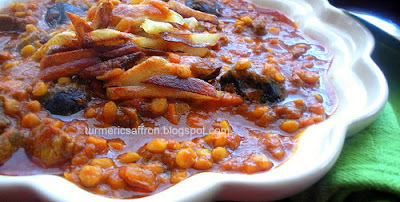 Shevid baghali polow with chicken or lamb and a big pot of Ash Reshteh were the two dishes we'd take on picnics. In a large skillet, heat 3 tablespoons vegetable oil over medium heat, saute onions till translucent. Add the chopped garlic and turmeric, saute for an additional five minutes. Place the chicken pieces in the skillet, add salt, pepper, cardamom and brown on all sides. 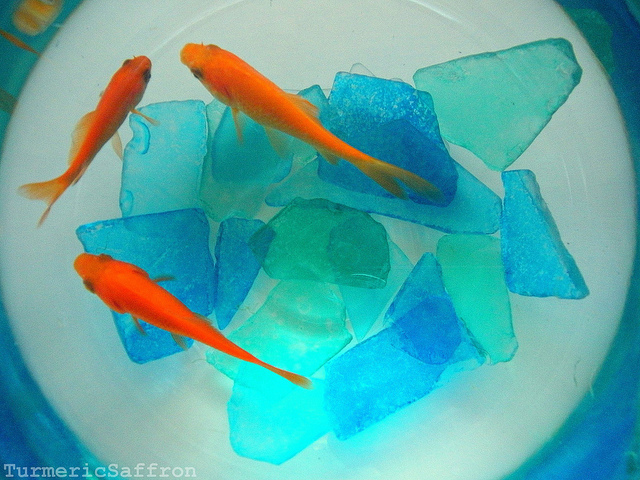 Pour in enough water to cover all pieces. Cook on medium-low heat for an hour. Half way through the cooking add the liquid saffron and in the last fifteen minutes sprinkle the lemon juice evenly over the chicken. Taste and adjust the seasoning and set aside. In a small bowl mix dill, lima beans, turmeric, dash of salt and cinnamon, mix well. Set aside. Wash rice with cool water, soak in 8 cups of water, add 4 tablespoons of salt for 1-2 hours. In a non-stick pot bring 3 quarts of water to a boil and gently pour in the drained rice. Let the rice boil for 7 minutes and test to see if the rice is ready. 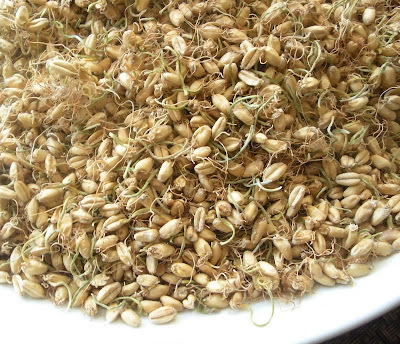 Rice grains should be firm in the center and soft on the outside. Wash the pot and return it to heat, add 4 tablespoons of oil to cover the bottom. 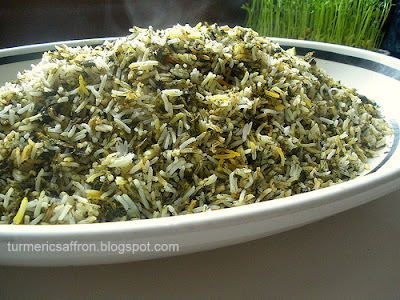 Place a layer of rice then a layer of dill and beans and continue layering into a pyramid shape. Make 4 holes in the rice with a bottom of a spoon to let the steam out. Cook the rice for 5-7 minutes on medium to high heat till rice starts steaming. Pour 2 tablespoons oil and 1/4 cup of water and the liquid saffron may be added at this point or later on when you serve it on the platter. Lower the heat, cover and cook for 50 minuets. Arrange the rice and the chicken pieces on a platter and serve warm. 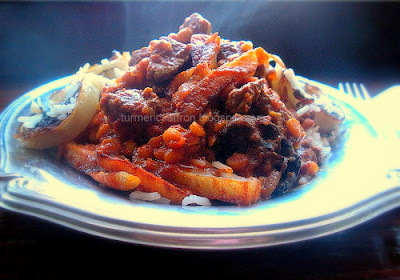 * Variations: Cooked chicken could be added to the rice as another layer when layering rice with herbs and beans. If you are cooking the rice and chicken together, instead of using the melted butter for topping, add a couple of tablespoons of chicken liquid on top of the rice before putting the lid back on tightly. Enjoy and Happy Sizdah Bedar! 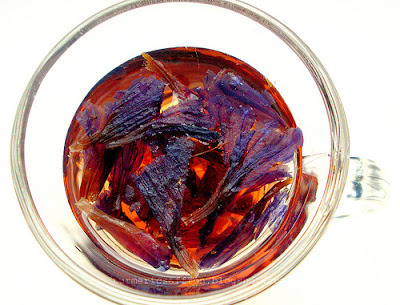 گل گاو زبان Gol gav zaban (Borage) is a herb that grows in the northern part of Iran and its dried purple flower is brewed the same way you brew tea leaves. 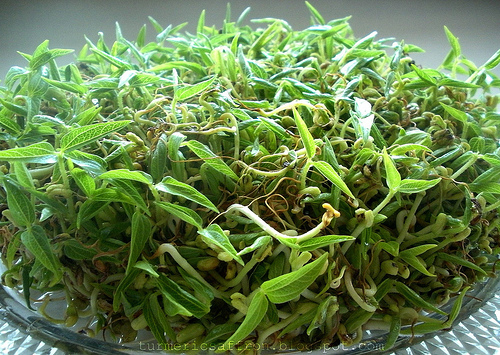 Gol gov zaban is a diuretic and is used in treating coughs and colds and also has a calming effect on the nerves. 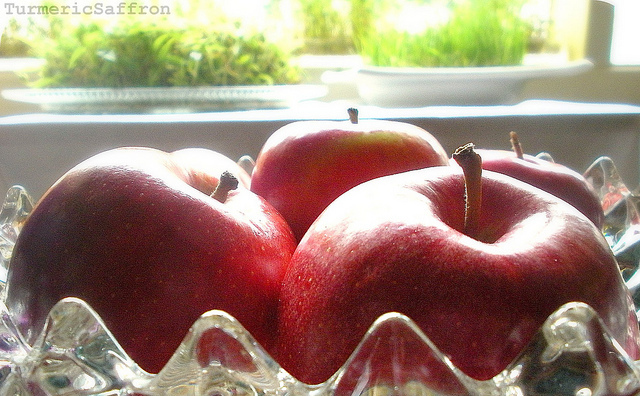 It's believed to be a good source of antioxidants and is also good for the heart. Gol (flower) gav (cow) zaban (tongue) literally means cow tongue flower and it has a mild and distinct taste. It doesn't taste medicinal at all. 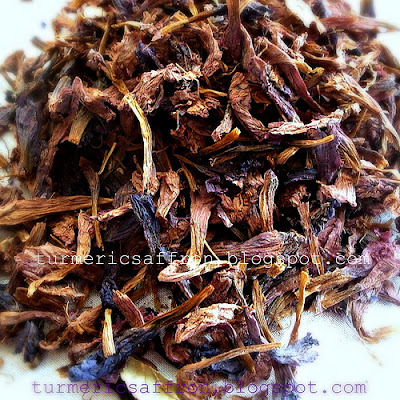 It's an aromatic, flavorful and soothing herbal tea. There are many herbal medicines and home remedies in Iran dating back to the ancient times which were handed down generation to generation. 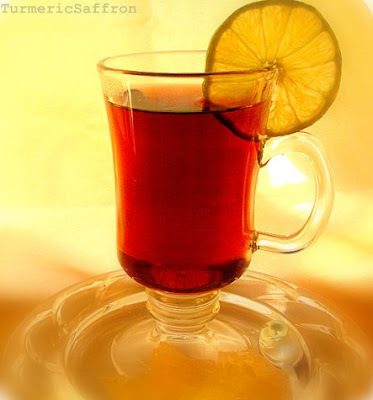 In our home, gol gav zaban, among other herbs, was used frequently for its medicinal purposes or even just to enjoy a soothing and tasty hot drink. My mother used to usually brew gol gav zaban with a little bit of sonbol-tib (Valerian root) mid morning. She believed that there's a medicinal herb out there for every ailment, if only we knew them all we could treat every physical sickness. She had a small, brown, two tier wooden table next to her favorite comfortable chair with her poetry books and all her herbal remedies. I have kept a few of her little bottles and containers with her large handwritten labels. 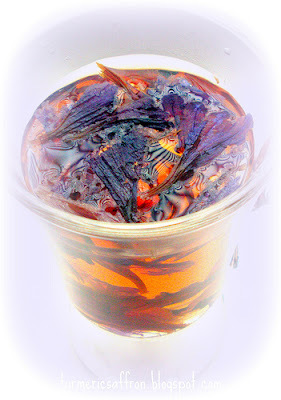 Drinking this delicate fragrance flower tea makes you feel good and comfortable all over! Bring water to a boil in a kettle. Take a handful of gol gav zaban and place it in a teapot. Pour in the hot water and brew for 15 minutes on low heat. Serve hot with rock candy or lemon juice depending on your taste. The Table of the Seven S's. 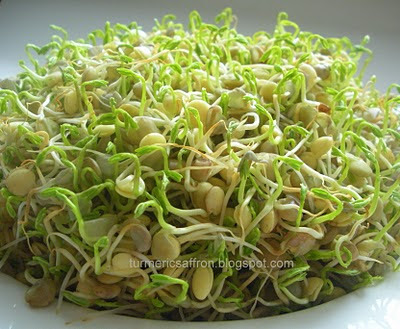 Sabzeh (Wheat Sprouts): Representing rebirth and fertility. Senjed (Dried Fruit of the Lotus Tree): Representing love. 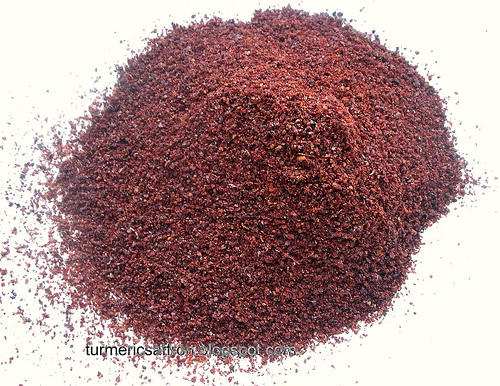 Somagh (Sumac): Representing the spice of life. 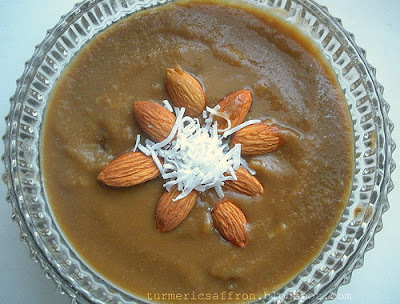 Samanoo (Sweet Pudding made with germinated wheat): Representing the reward of patience. 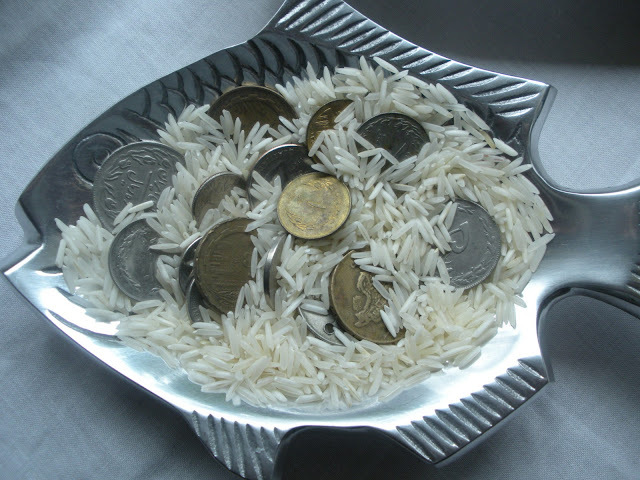 Sekkeh (Coins): Representing wealth and prosperity. Seeb (Apple): Representing natural beauty. 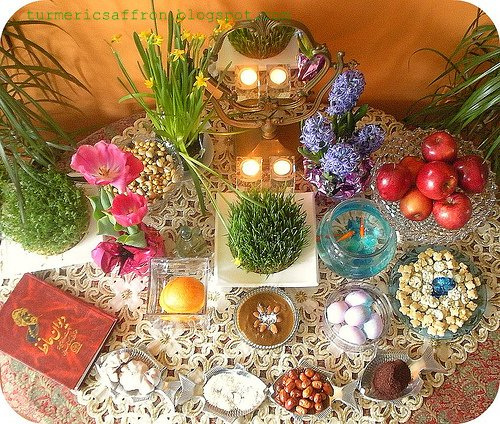 A Basic Guide to Celebrating Persian New Year! 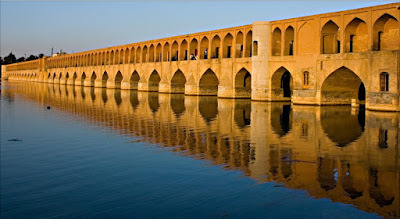 Persian New Year (Nowruz) is the celebration of the first day of spring (Bahar) with all its beauty, greenery and blossoms. Traditional Nowruz dishes are made with herbs representing new life and revival. 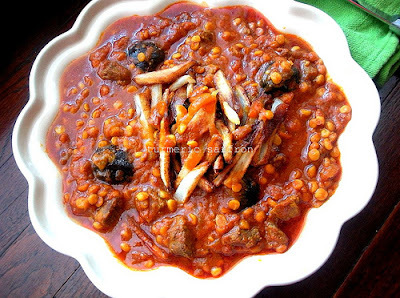 سبزی پلو Sabzi polow is a delicious and healthy dish usually served with smoked white fish (mahi doodi) or fried fish. 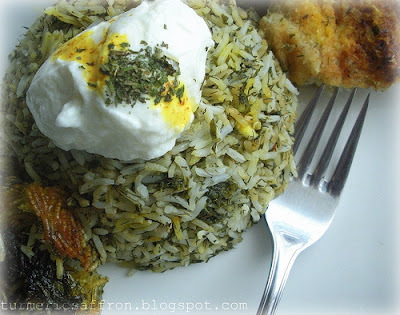 I posted a sabzi polow ba mahi recipe last year, here. However, this new variation came about in an attempt to have every grain of rice and chopped vegetables blend well together. In addition to the fresh vegetables, I used about 2-3 tablespoons of dried herbs (a combination of parsley, leek and dill). Clean vegetables, wash and finely chop either by hand or use a food processor. Mix well and set aside. Wash rice and soak in 8 cups of salted water for two hours. In a non-stick heavy pot bring 3 quarts of water to a boil. Drain the rice and add to the boiling water, let it boil on medium to high heat for about 7 minutes. Check to see if the rice grain is firm at the center and soft on both ends. Using a colander drain the rice and rinse with cool water. Wash and dry the pot and put back on the stove on medium heat. Add 4 tablespoons of oil, add rice and layer with the chopped vegetable and sprinkle the dried vegetables over each layer to cover the rice evenly. Place the cloves in the rice and make a few holes in the rice with the bottom of a spatula. 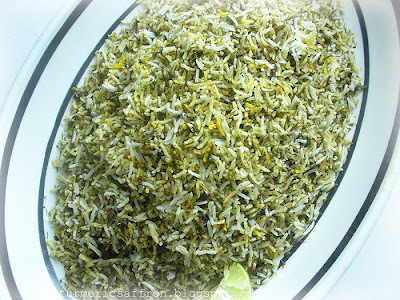 When the rice starts steaming, sprinkle the liquid saffron over the rice, add 2 tablespoons of oil and 1/4 cup of water. Reduce heat to medium-low, cover and cook for about 45-50 minute. Serve the rice on a platter with along with fish. These are delicious, simple and easy to bake شیرینی کشمشی shirini keshmeshi (raisin cookies) that are perfect for the holidays or any day. I cook all the time and enjoy making pickles and jams. When it comes to sweets, however, I usually only make them for a special occasion, and the Persian New Year is as special as it can get. It may be that my mother wasn't much of a baker and she would hire someone to do the baking when necessary, or maybe since the loss of my father was due to diabetes complications some years ago I'm watching the amount of sugar we consume. 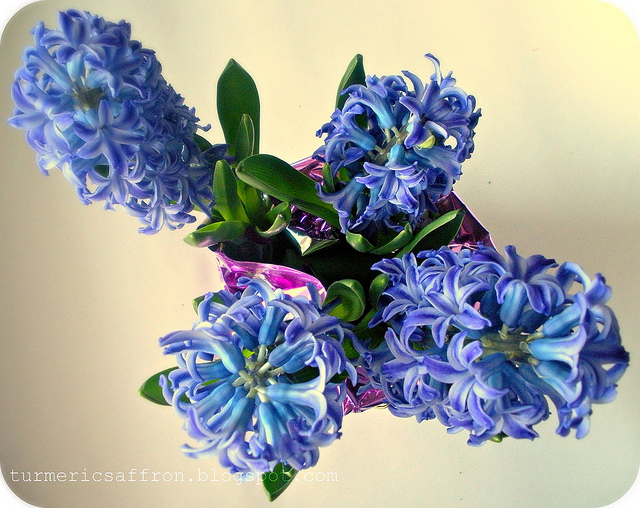 But these days are expectational with the feel of Spring in the air. The recipe for shirini keshmeshi is adapted from here. The original recipe calls for food coloring which I never use in my cooking and I also cut down on the amount of sugar and raisins. In a large mixing bowl beat together butter, oil and sugar, mix thoroughly until light in color. Add the eggs one at a time and blend well. Add 1/2 teaspoon vanilla extract. Add flour gradually and mix well using a spatula. Stir in raisins and blend well. Drop the dough by teaspoonful onto parchment covered baking sheet, about 2 inches apart. Place the cookies into the preheated oven and bake for 12-15 minutes or until they are light golden around edges. 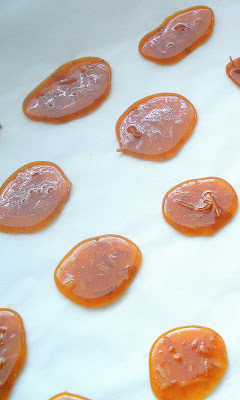 This is a caramelized hard sugar candy from the city of Isfahan, located in the central part of Iran. 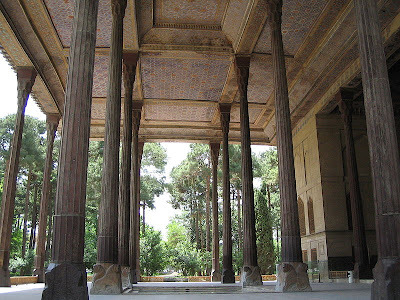 I was ten years old when I first tasted poolaki during one of my family's annual summer travels where we visited the historic city of Isfahan. My parents bought many bags of poolaki as a souvenir (soghati) among many other things that the beautiful city of Isfahan is known for! Poolaki is a sweet candy usually served best along with hot and fresh brewed tea. Poolaki from Isfahan is exceptionally tasty and delicate and no homemade version of it would ever come close to the real thing. However, with the Persian New Year fast approaching I've decided to give it a try! So, this is my attempt at making candy. It may not turn out quite like the authentic poolaki that you might buy from the bazaar in Isfahan, but it's the closest thing to it if you miss having it with your tea during the holiday! This is not a sugar cube to melt quickly in your mouth and it's not that soft to chew or swallow quickly, you need to take time and experience the magic of poolaki. 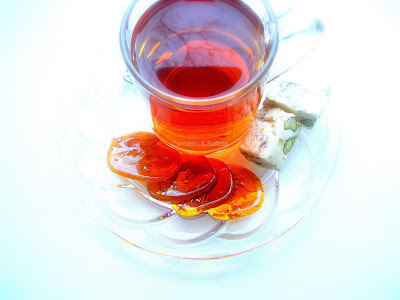 Make yourself a nice cup of fresh brewed tea, take a poolaki, dip the corner of it into the hot tea, place the candy in your mouth, taste the sweetness of it and then take a sip of your tea. Let the bitterness of the tea mix in with the candy, and for a nostalgic moment you'll be walking down those old tree-lined streets of Chahar Bagh among the crowd of early evening shoppers where everyone looks happy! I mentioned a nostalgic moment with a heavy heartfelt wish, didn't I? Crushed pistachios, shredded coconuts, powdered saffron, finely crushed dried lemon, barberries (zereshk) (I used shredded coconut). In a heavy small pan place a cup of sugar and heat it up on a medium to high heat, stirring frequently. When the sugar is melted, swirl it around the pot a couple of times. As soon as the syrup turns an amber color, remove from heat. Do not over cook and boil the syrup. Mix in any of the toppings that you like and quickly, with a tip of a teaspoon, drop the syrup onto a clean and dry baking dish covered with parchment paper. An easier variation is to pour the syrup onto the flat baking pan and spread it out. When dried, which only takes a few minutes, break it into small pieces by using the back of a heavy spoon or if the pan is flexible move and twist the four corners. This year's Persian New Year (Nowruz) falls on March 20th, therefore along with the spring cleaning we need to start growing our own سبزه "Sabzeh" wheat sprout which symbolizes revival and rebirth. 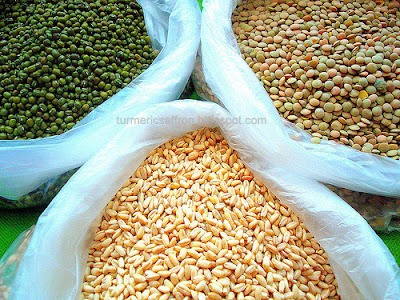 Besides wheat, which is the most common and popular seed to grow, you may also grow barley, lentils and mung beans. 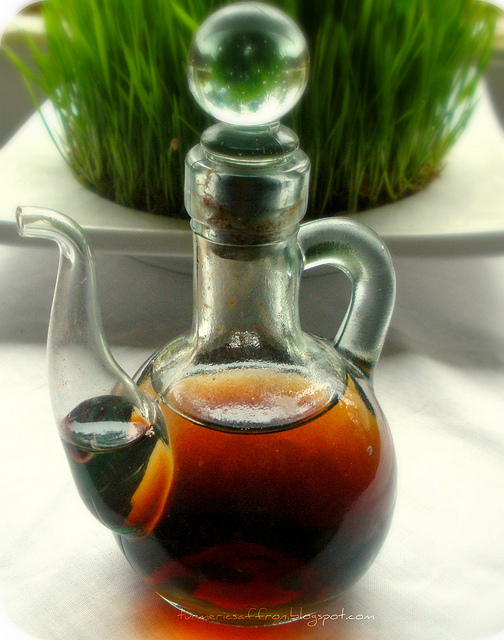 Sabzeh is one of the seven items on the haft-seen table that starts with the letter (S). 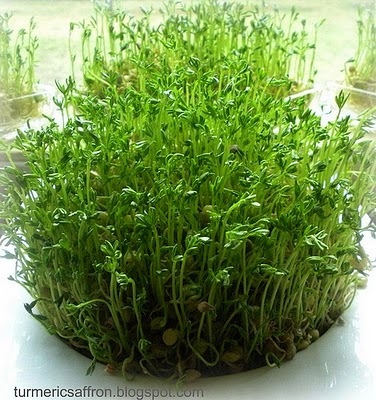 Depending on the size of your display dish, take a cup or two of the seeds of your choice. 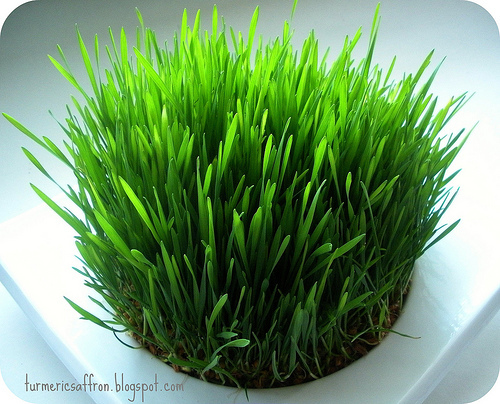 Rinse under cool water and place in a large enough bowl, cover with cool water and soak for 2-3 days. Be sure to change the water a couple of times a day. Drain the seeds and place them in a moist cheesecloth. Place the cheesecloth in a deep dish, this would keep the seeds and the moisture together until the seeds start to germinate. Place the dish on a sunny windowsill. 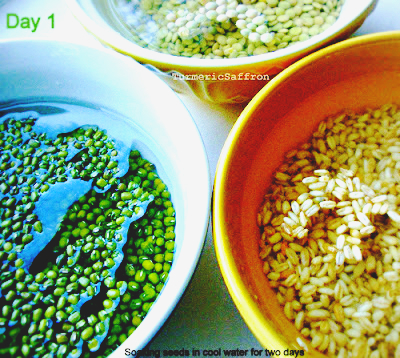 Keep the seeds moist by sprinkling/spraying water on it when needed. 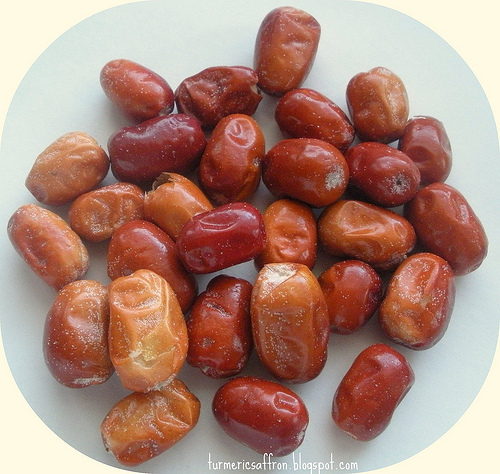 If the seeds are of good quality and there's ample sunlight, it won't take long for the seeds to sprout. Remove the cloth and place the newly germinated seeds in a desired dish. Change the water twice a day and discard the extra water. 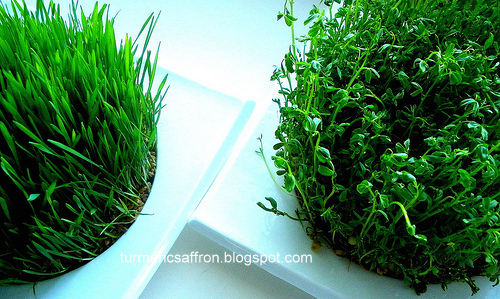 You may tie a red ribbon around the grass and place it on your haft seen table!